For online stores, according to OptinMonster, one major issue is cart abandonment. There’s definitely interest, but not enough for potential customers to go through with the purchase. So sales are lost. Big time. What is Cart Abandonment, article by Graham Charlton sheds light on the rate of abandonment based on industries and also what can be done to reduce the overall abandonment with ideas such as designing of concise, beautiful forms. 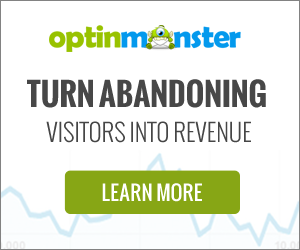 OptinMonster can help with cart abandonment with beautiful campaigns, perfectly timed messages, and the ability to help users make data-driven decisions so that small business owners can stop losing sales and start maximizing profit. Our belief is that abandonment rate should not be just restricted to the rate associated with virtual shopping carts but definitely include form abandonment, especially if such forms are related with direct revenue generation endeavors such as the below Application Form that takes the credentials of candidates willing to enroll before accepting the payment through offline means. Though training is not covered in the above study, our own maintained computer training website www.mankaryouthcom has form abandonment close to zero. This may be because of only those who are local candidates willing to enroll for the courses initiate the process of filling the application form that is designed using WPForms, a software tool for making beautiful, feature-rich forms. Not surprisingly, WPForms comes with Form Abandonment Addon which is a proxy to OptinMonster’s cart abandonment features. For publishers who usually include affiliate links, cart abandonment may not be an issue as clicks are redirected to third-party websites where sales if any are made. OptinMonster can help such publishers with its features like Content Lock that ‘lets you block part of your content and make it available to subscribers only, encouraging more email signups and attracting high-quality leads.’ Also important for all website owners including publishers and online store owners is the ability to track data about the visitors. Google Analytics is the recommended analytics software and for integrating the same with your WordPress website, MonsterInsights is the easy way. For online store owners, cart abandonment rate is crucial, for a website using forms, form abandonment is crucial, and for all websites bounce rate shows how many people are leaving your website immediately after visiting and a bounce rate close to 100 percent negates a large number of website traffic and page views recorded. MonsterInsights helps keep an eye on such data the easy way bypassing the complexities of the steep learning curve associated with using Google Analytics.